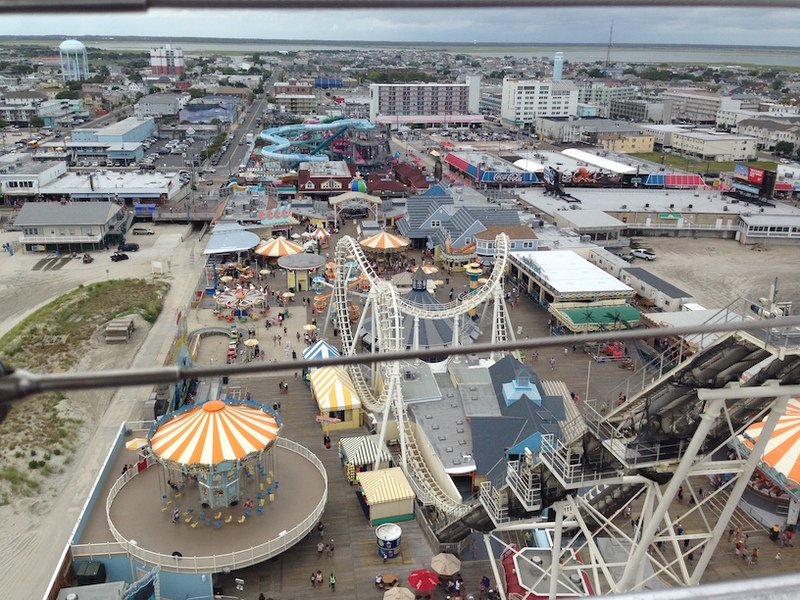 Is any childhood visit to a beach community with a boardwalk really complete without a trip to an amusement pier? We don’t usually do family vacations. 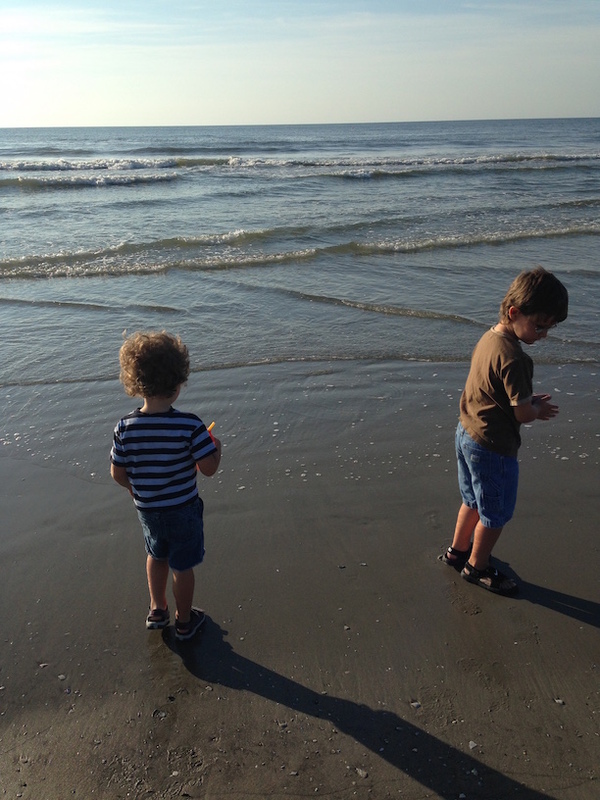 As a lot of families with Autism know, vacations can be a recipe for disaster – the lack of structure, the unfamiliar environments, the missing preferred foods and sounds… and in our case, especially, I tend to spend more nights on overnight trips in the minivan with the Monster, than I do enjoying the bed I’m paying for. So as followers of my Instagram feed (or those who noticed the pictures on the Facebook page) will know, my family and I decamped from Charm City for a week for a vacation down the Shore. Yes, I say “down the Shore”. (My wife’s the “down the ocean” or “downy Ocean” person.) Don’t look at me like that. So with everything that’s happened to get to this point, you’d think that everything was done for the new school year. The Monster was determined to need a non-public placement, we’d seen a couple of schools, and so it’s like anything else – go pick up your transfer packet and show up at the new school, right? Having decided that the only public placements that we were aware of were not likely to be the right placement for the Monster, barring a program existing of which we had not heard, we decided to do our due diligence and go to see some of the non-public placements that might well be offered for our son. The major issue, in our minds, was the fact that the summer was rapidly coming to an end – several of the private schools that are known for their work with children with Autism go on vacation during August, and there are processes that need to be followed to put a child into such a place. I’ve decided to start going back over the things that I couldn’t discuss while we were going through the IEP process, and talking about them as they occur to me to write them… so some of these things, over the next few weeks, might seem like they’re coming a bit out of right field. It’s very easy, with a special needs child, to get bogged down in the negative. He can’t talk to me, a lot of us think. He doesn’t have friends. He’s not fully toilet-trained. I can’t trust him alone in the yard or near a street. What will happen when he grows up? R doesn’t get a lot of entries here, if only because most of the time, I’m dealing with the Monster’s own behaviors, challenges and successes. But… there are times where R needs to be talked about, as the younger brother of a child with Autism. As I’ve discussed numerous times, the Monster’s not huge on novel verbal expression. He can handle mildly scaffolded phrases that he’s familiar with and riff on them, and he can give one or two word utterances that express the general needs that he’s feeling at any moment in time, but most of the time, we understand him because we “get” how he communicates.